Megadophilus protects your stomach and small intestine by producing natural antibacterial substances that help destroy invading hostile bacteria. Providing 2 billion colony forming units (cfu) of beneficial bacteria per serving. 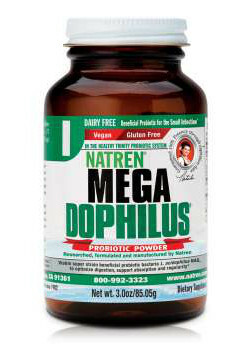 Megadophilus is also available as a dairy powder.